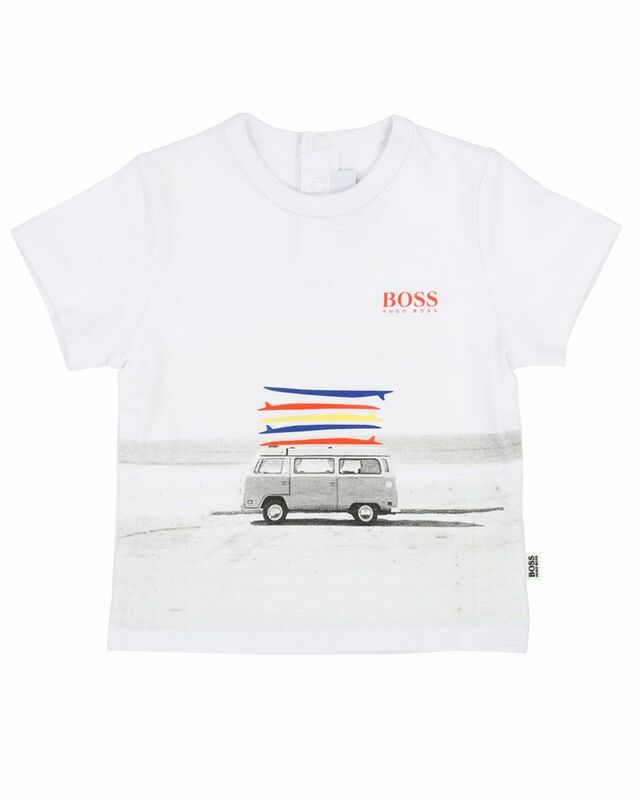 BOSS soft cotton white tee shirt with multi-colour graphic print detailing. 100% Cotton. Imported.